A repackaged edition of the revered author's anthology of satirical yet serious essays on evil. 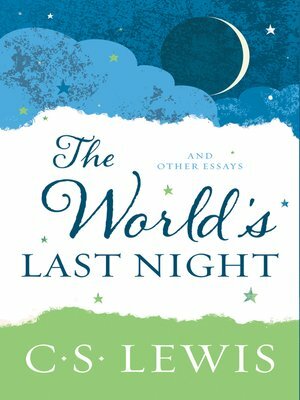 In these spirited essays, C. S. Lewis—the great British writer, scholar, lay theologian, broadcaster, Christian apologist, and bestselling author of Mere Christianity, The Screwtape Letters, The Great Divorce, The Chronicles of Narnia, and many other beloved classics—discusses evil in the world. Blending irony, humor, and paradox, he tackles religion's most difficult and intriguing questions regarding immorality, belief, and the meaning of prayer. Best of all, the infamous Screwtape makes a special cameo appearance in this funny and poignant collection.